JEROBOAM BOZEMAN (Brooklyn, NY) began his dance training under Ruth Sistaire at the Ronald Edmonds Learning Center. He later joined Creative Outlet, and was granted full scholarships at the Joffrey Ballet School and Dance Theatre of Harlem. Mr. Bozeman is a gold-medal recipient of the NAACP ACT-SO Competition in Dance. He performed in Elton John and Tim Rice’s Broadway musical Aida (international tour in China) and was a part of Philadanco, Donald Byrd’s Spectrum Dance Theater, and Ailey II. 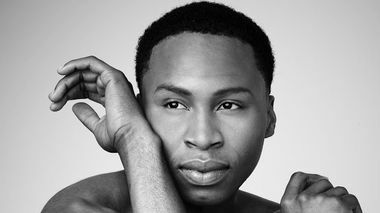 During the fall of 2016 Mr. Bozeman performed as a guest artist with The Royal Ballet, and Dance Magazine nominated him as one of “25 to Watch” in 2018. Mr. Bozeman recently received a bachelor’s degree in psychology concentrating in industrial organization from Argosy University. Mr. Bozeman joined the Company in 2013. Instagram: @Jeroboamb. 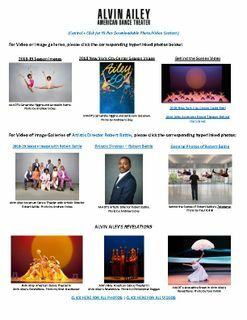 Dance Spirit - Upfront Buzz: Happy Birthday, Alvin Ailey American Dance Theater! 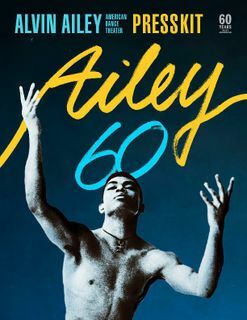 On March 30, 1958, at the 92nd Street Y in NYC, dancer Alvin Ailey and a group of African-American dancers performed onstage together for the first time. Since Then, Alvin Ailey American Dance Theater, the company Ailey formed, has become legendary in the dance world. To commemorate its 60th anniversary, AAADT has dubbed its annual City Center season "Ailey 60." 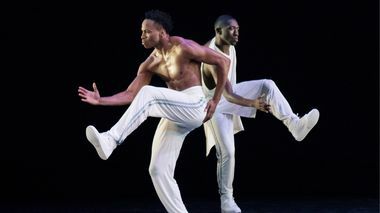 From Nov. 28-Dec. 30 choreographers including Ronald K. Brown, Jessica Lang, and Rennie Harris will present premieres, alongside the works of current artistic director Robert Battle, Judith Jamison, and over two dozen pieces by Alvin Ailey himself. We asked a few of the company members to share what the anniversary means to them. It's the contrasts that set Jeroboam Bozeman apart. In a New York minute, his movements may jump from sharp and distinct to gracefully fluid. Bozeman defies labels; you're not sure if you're watching a ballet dancer, a modern dancer or (one of his favorite styles) a West African dancer.